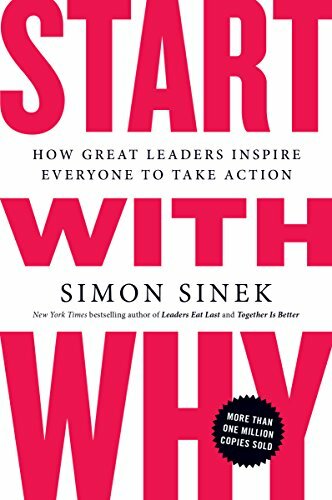 Start With Why by Simon Sinek is a book for leaders who are taking over or starting up a company. The thesis of the book is that a company and its leaders must start with why - the belief and cause of the company in order to become successful. The WHY lies at the centre of WHAT your company does and HOW it does it. To fully embody the why of a company means to hire around others who also believe the same thing that you do. By having the company culture embody the core belief, others will come to understand your WHY and follow you as well. This book is pretty interesting and Sinek has a few good case studies that he develops his thesis around but he does stick to the same companies as examples throughout the entire book - he is clearly an Apple fan - and could have benefitted from branching out to a wider range of industries. I’ve listened to Sinek speak in podcasts and on videos before and I believe that he is better suited to delivering his message through audio. I think that this book is more of a dictation of him talking than a great written work.